Perfect Unions Start with a Storybook Wedding at Pleasantdale Chateau! Here’s a toast to your impending marriage! All of us at Pleasantdale Chateau are ready to make sure your new life together begins with the most romantic and magical wedding ceremony possible. Our wedding planners and sales managers are dedicated to ensuring every detail of your wedding day is perfectly handled, and absolutely committed to making it the most perfect day of your life. That’s why Pleasantdale Chateau is among the most sought after wedding locations and wedding reception venues in northern New Jersey. No one creates more festive and delicious menus for wedding receptions and wedding banquets than our award winning kitchen and chefs. As one of the renowned Knowles Restaurants’ properties, we have a tradition of excellence in dining and service that makes every wedding at Pleasantdale Chateau a truly wonderful celebration. And having hosted thousands of marriages, we are experts at handling all the details that go into a great wedding ceremony, including selecting musical entertainment, florists, photographers, and other professional services through our selection of preferred vendors. Our gorgeous public rooms and acres of verdant grounds and gardens offer a wide selection of wedding places in one location, whatever the size of your wedding party. 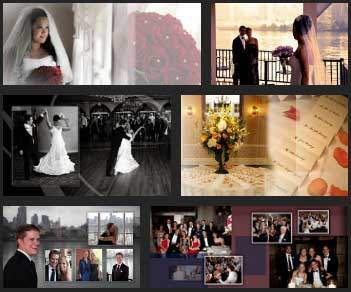 We invite you to meet with our experts about your wedding ideas and ideas for a wedding reception. Our planners can provide advice on everything from wedding invitations to wedding centerpieces, and can also make recommendations. 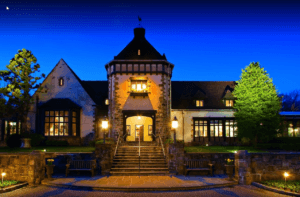 With a stunning setting, an unparalleled kitchen, and an absolute commitment to our clients, it’s easy to see why so many couples in northern New Jersey make the Pleasantdale Chateau their wedding venue of choice.